I’m pretty certain that my skin could be classed as ‘sensitive’ and as a result it is so important to treat my skin right whether I am at home or on the move. That’s why I always carry a little army or skincare saviours in my gym bag and hand luggage, to keep my skin happy and healthy. Being in my thirties (I know, I know I don’t look it) my skincare regime is focused on perfecting my skin, skipping the old cleansing and moisturising now leads to my skin looking dull, dehydrated and highlights the appearance of those frustrating little fine lines. My skincare regime is all about the hydration these days. When I tell people that I carry just as many products in my gym bag as I do in my cabinet at home they often look at me as though I have two heads, but why wouldn’t I? My skin takes just as much of a beating in there as it does when exposed to the elements after all. So what are my saviours? I always start with a good face-wipe (don’t judge) to remove the top layer of grease and grime from my face and follow it up with a thorough cleanse using Micellar Water. 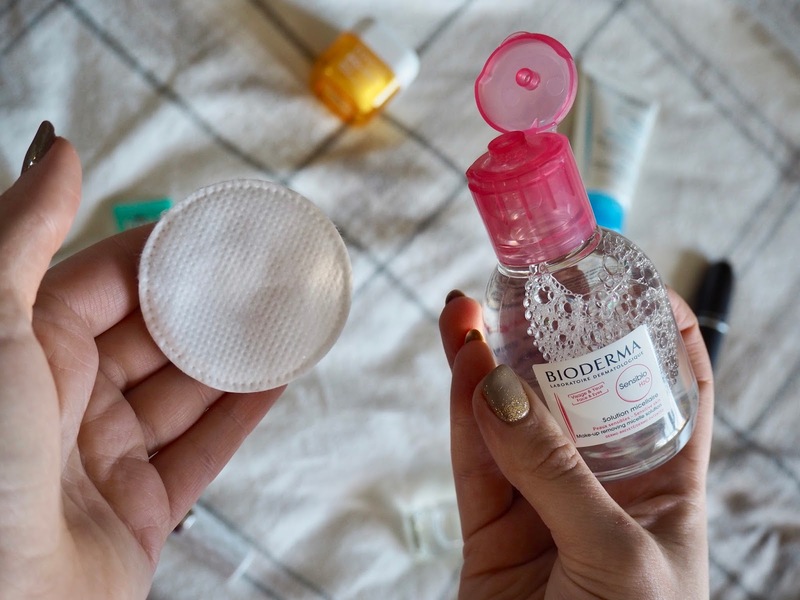 I adore the Bioderma Sensibio H20 Micellar Water because not only doesn’t it irritate my skin further unlike some micellar products, but it actually soothes the skin making it instantly feel refreshed which is great first thing in the morning or when you’ve just had a heavy session in the gym. As kind as the Sensibio is to my skin, I still always follow it up with a nice layer of moisturiser and right now I am addicted to Pep-Start Hydrorush from Clinique which absorbs quickly, isn’t greasy and contains SPF20 so it protects the skin as well as nourishing it. Another product that I rely on to protect and nourish is my Elizabeth Arden Eight Hour Lip Protectant which has been in my beauty arsenal for the past decade now and probably always will be as nothing else keeps my lips looking as good all year round. Oh and I cannot forget to mention I add a little bit of ‘The Porefessional’ from Benefit whether I am planning on wearing makeup or not to help minimise pores and to leave my skin looking soft and flawless. That always helps raise confidence levels to 100 doesn’t it? But skincare for me isn’t just restricted to my face, I also make sure that I intensively moisturise my body too to minimise the effects of garments that rub all those natural oils away from the surface of the skin and also the effects of lifting weights. If you’re a regular in the gym you will probably have experience those calluses on your hands from working out and that is why I always carry hand cream on me wherever I go. 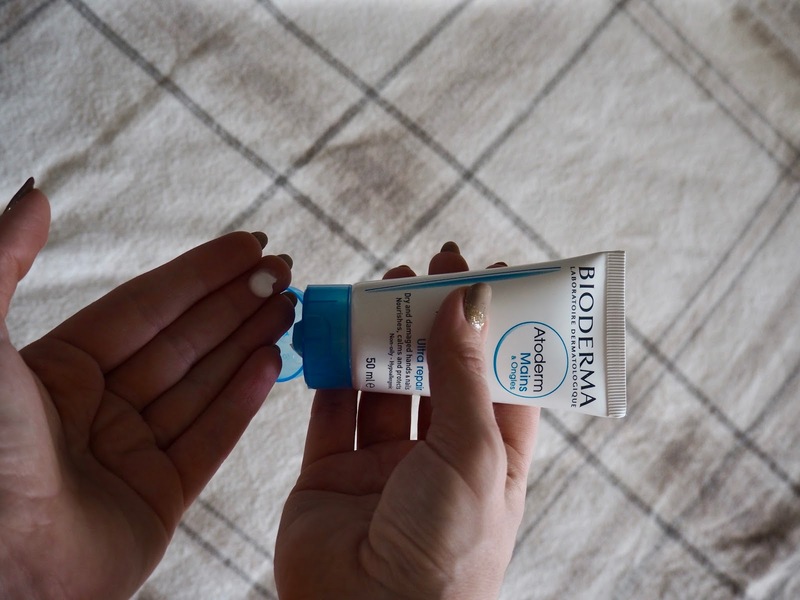 The Bioderma Atoderm Hand Cream is a paraben free formula that helps to calm, nourish and protect hands when applied frequently. The great thing about my saviours? They’re all under 100ml so whenever I head away I simply pick them out of my gym bag and pop them in my hand luggage so that I can look after my skin on the road, in the air or by the pool as well. It’s never to early or late in life to start looking after your skin, after all we only get one skin to live in. What are your on-the-go skincare saviours? *This post has been written in collaboration with Bioderma, all thoughts and words are my own.